I spent much of my first day in downtown Denver, which rests just below this elevation, visiting with a friend. It took only 4 hours before I was winded – breathing heavily, feeling miserable. The elevation was getting me. Since then my I’ve acclimated to the elevation – I’m not energetic, but I can do things like walk without feeling exhausted just because I’m moving. 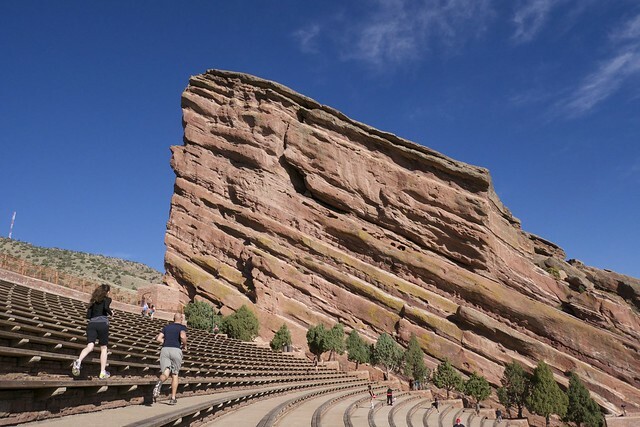 Until today: I popped up to the Red Rocks Amphitheatre in order to admire its beauty. 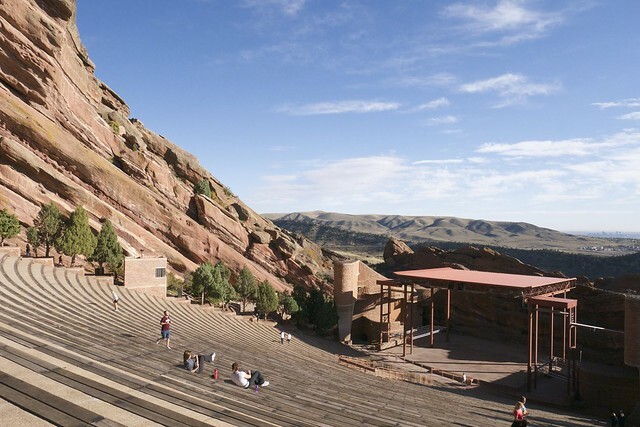 It’s a natural amphitheater in a stunningly beautiful setting. Driving up there I didn’t expect to be alone, but I expected, at most, a handful of people admiring its inherent awesomeness. 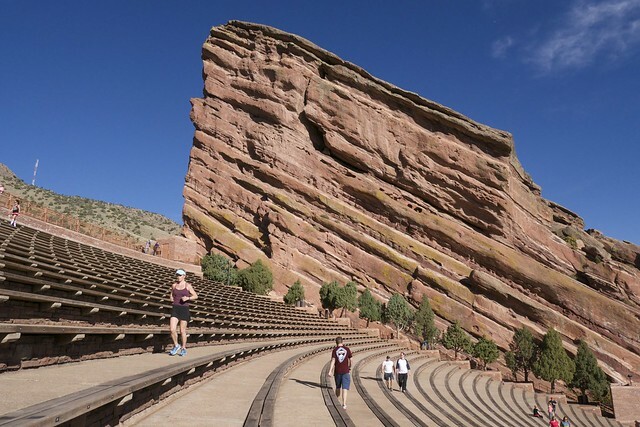 It turns out Red Rocks is an exercise mecca for people in the area – and it’s set at 6,400 feet above sea level—so nearly 2000 meters. As I sat, catching my breath, I watched people run back and forth along the seating area, I watched people run up and down, and I watched people do all kinds of uncomfortable looking maneuvers. It was enough to exhaust me just watching. This altitude sickness has affected me before – and I fully understand my Mom’s complaint about what it is like to come up to Denver – and how long it takes to adjust. I imagine that if I were hanging out in Denver full time, the extra 1200 feet it takes to go from downtown to Red Rocks wouldn’t kill me. That said, less than a week is not long enough for me to do it comfortably. 2 comments to I’m a Mile High… and feeling it. It would have been nice to be alone. Crazy health nuts! Gotta burn your energy somewhere, I guess. I was feeling the altitude too much, about killed me.